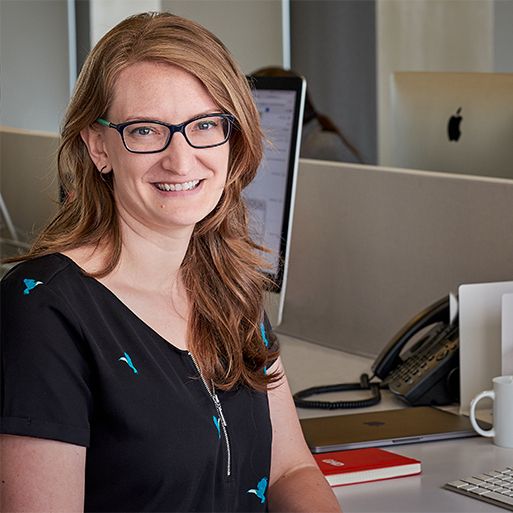 Stephanie Wilkins is a Design Director at GHD Partners, where she oversees teams of designers working through concept development, production oversight and implementation of a wide range of strategic design initiatives. She has developed print design and environmental graphic design projects for companies such as Google, Comcast, Federal Home Loan Bank of NY, Macklowe Properties, The Truth Initiative, and Rockefeller Center. Previous to GHD Partners she worked with The Metropolitan Museum of Art, as well as several prominent design studios in New York. Stephanie graduated with a BFA in Graphic Design and a Minor in Art History from Western Michigan University. Inspired by the energy and passion within New York City, Stephanie enjoys a range of creative activities in her spare time, including volunteering at a variety of art and cultural organizations.